Ladies and Gentleman, please pay attention! 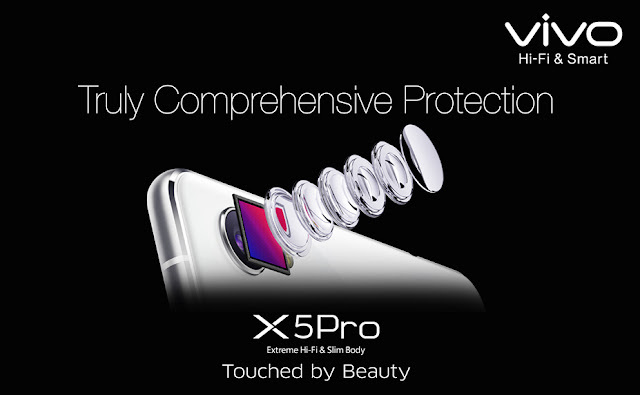 A official Grand Launch by China's leading smartphone brand vivo at the Kuala Lumpur Convention Centre to announced its latest smartphone vivo X5Pro, touted as "Touched By Beauty" entry into Malaysian market! Before to show you how awesome of vivo X5Pro, here is some details of that Grand Launch happened last week. To showing the importance and future expectations for vivo in Malaysia, this is the largest ever launching, guess what? it was over 1500 people attended,included Mr.Alex Feng the Vice President of vivo Global, Mr.Lewis Zhang the CEO of vivo Malaysia and many senior vivo members. What's meaning of 'vivo' ? It is derived from the ancient Latin term, which was originally used by Romans to cheer for Caesar, Ottawa, Victoria and other heroic historical figures. In later days, 'vivo' was used to describe amazement towards masterpieces and today 'vivo' refers to active and youthful. vivo smartphone has always followed their motto to "Dare to push the limit and continue to bring new surprise" and created many "firsts" in this industry. Registered in China year 2008 and made its international mark since year 2011 in over 100 countries around the world, from the launch of vivo X1; vivo X3 and vivo X5Max has consecutively broke the world's thinnest smartphone record, and also created the world's most stunning Hi-Fi sound quality phone.vivoXplay3S smartphone is the world's first 2k screen and the world's first "Touched By Beauty" vivo X5Pro! All of the achievements because of vivo is committed to the pursuit of fun, vibrancy, and appealing to the youth which they achieve with products that are aesthetically pleasing, professional Hi-Fi sound quality and gives the users the ultimate experience. As a vital part of Asian economies, Malaysia has always been an important market for vivo. It will localise their innovation in order to create greater value for Malaysia consumers, and also help vivo position their brand to appeal more towards the fashionable Malaysian youths. 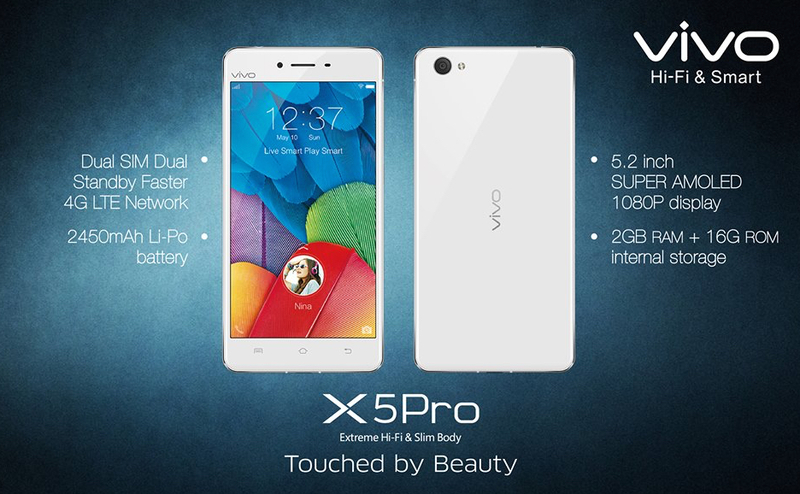 Celebrities Fuying & Sam can't wait to try out this new vivo X5Pro. Catwalk by Fuying & Sam and Soo Wincci. 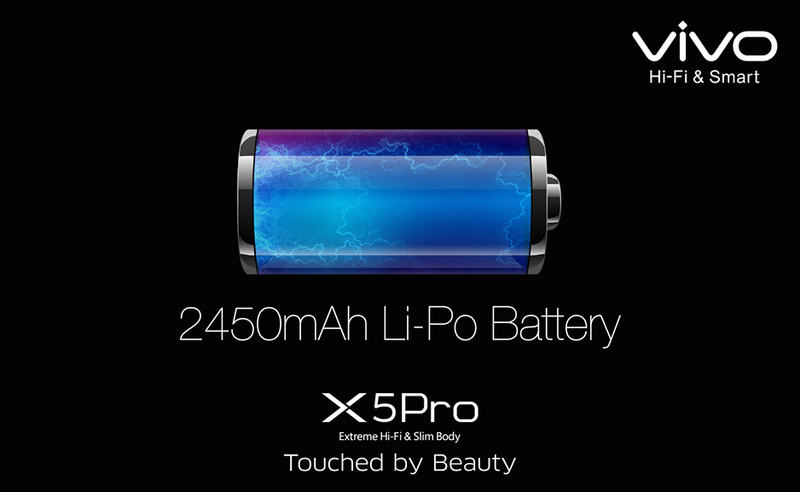 As touted as "Touched By Beauty", vivo X5Pro is perfect in details, impressive in both visual and function and is invoking the beautiful flawless concept inspired by nature. Based on the renowned Android 5.0 OS, vivo X5Pro enjoys top-level speed, unwavering app execution and a longer battery life. 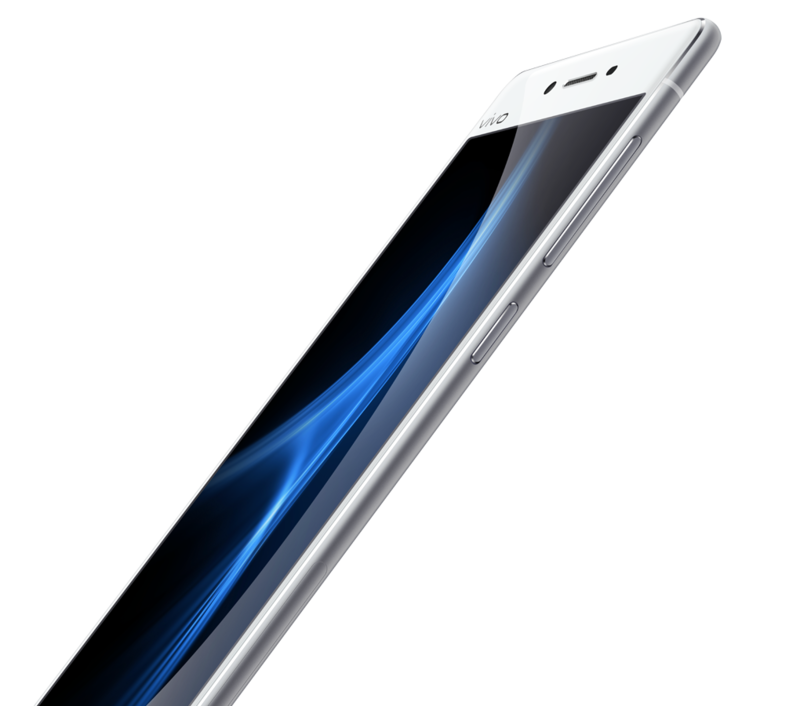 vivo X5Pro features shimmering curvy glasses that resemble a drop of water, Corning Gorilla double-sided 2.5D glass brings in a glossy appeal, seamless metalworking arcs around the edges to blend with the flowing glass, shaping a lustrous form of aesthetic pleasure. A breathtaking finishing with Nano sapphire-colorer crystal coating created that shimmers blue like the finest of jewels on the screen transforms the vivo X5Pro into an eye-catching masterpiece. Marvel at how good the smooth shimmering surface feels against your palm. 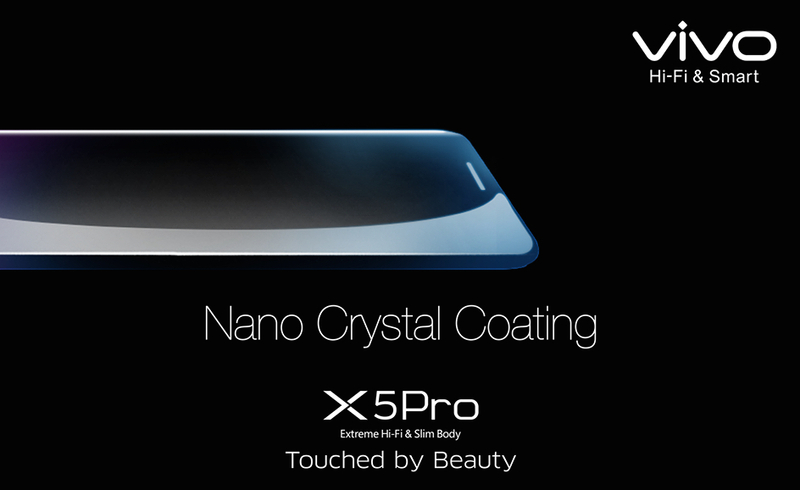 The vivo X5Pro has super thin body at just 6.44mm! Dimension is 147.9 x 73.45 x 6.44mm, you can enjoy the thrill of holding such a thin piece of wonder, filling your palm with effortless. vivo X5Pro combines its super-thin screen with a 5.2 inch Super Amoled FHD display to infuse your astounding visuals as well as smoother video. You are no longer to worried of darker blur screen view when stand under the sun, intelligent optical display technology and sensors let the phone adapt to any lighting situation, auto adjusting screen and display setting so that you always have a clear view even in direct sunlight. The iconic vivo Hi-Fi audio experience is empowered in vivo X5Pro by AKM AK4375 chip which makes the finer music details of your hearing experience. Nowadays, youths are more to concern about CAMERA! remember the trend of 'selfie' / 'wefie' and still on going? vivo doesn't forget this point and brings the ultimate experience to customer. 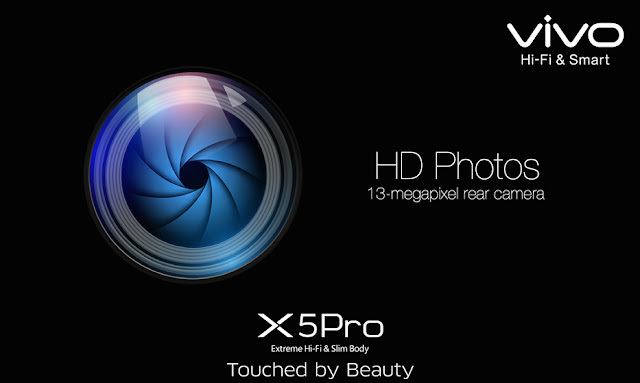 vivo X5Pro comes with the focus and central positioning of PDAF and high-speed flash (vivo has achieved a smartphone with the industry's fastest AF speed). Shockingly fast PDAF technology helps to capture fleeting moments faster than others with the clearly powerful result. For someone who love to play 'selfie' / 'wefie', you must not skip this 2 functions which is palm capture and smart beauty mode. Simply waving your hand to take shots of yourself from a distance, no motor awkward-angle selfies again when you can set back, wave and show off your best side. Groundbreaking facial recognition software can identify your gender and complexion, intelligent multi-facial modes let you touch up anyone in the shot with a solution tailed to each individual, so everyone can come out the best and beautiful outlooks. vivo X5Pro is bound to give the ultimate experience to the youth which includes state-of-the-art Hi-Fi sound quality, super slim body, a high quality camera.